Y 1/c James A. Spraggins, son of Mr. and Mrs. Bob Spraggins, graduated from Victory High School. 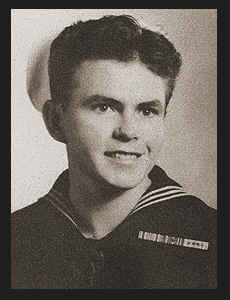 Entered Navy in Sept., 1942, trained in Great Lakes, Ill.; now honorably discharged. Awarded Am. Defense Ribbon, ETO Ribbon with one Battle Star, Asiatic Pacific Ribbon with eight Battle Stars, Pres. Unit Citation with one Oak Leaf Cluster, Letter of Commendation, Good Conduct Medal.